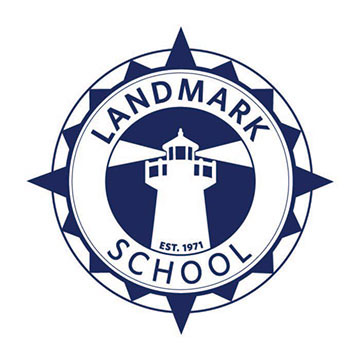 Landmark School is recognized as the leader in educating students (grades 2 – 12) with dyslexia and other language-based learning disabilities. The cornerstone of our coeducational program, and what differentiates Landmark from others, is a daily, one-to-one tutorial. Class sizes of 6 - 8, skills-based curriculum, specially trained faculty, and a variety of methods and programs individualize each student's experience. 94% of our graduates attend college. Summer programs, robust athletics, visual and performing arts, and much more offer students a rewarding school experience just 30 miles from Boston. Here's what Sally Shaywitz M.D., The Audrey G. Ratner Professor in Learning Development at Yale University's School of Medicine and Co-Director of the Yale Center for Dyslexia & Creativity had to say: For over 40 years Landmark School has been empowering children with dyslexia and other language-based learning disabilities to gain self-awareness, reach their potential, and develop self-advocacy skills to be successful in a competitive world. This unique school is a true leader in the field of educating young people with dyslexia. We serve students in grades 2 – 12 with a diagnosed Language-Based Learning Disability. Our program is ideal for students with Dyslexia/Reading Disability, Disorder of Written Language, Expressive Language Disorder, Executive Function Weaknesses. Our program is NOT for students with Nonverbal Learning Disabilities, Autism Spectrum Disorders (including Asberger's Syndrome), Pervasive Developmental Disorder, Developmental Delay, Primary Social/Emotional/Behavioral Disorders. Landmark’s program is comprehensive and offers students day or residential options. The hallmark of our program is a one-to-one daily tutorial for every student. Our Prep Program is designed for students ready to advance out of the daily tutorial, participate in slightly larger classrooms, and take on more demanding work.